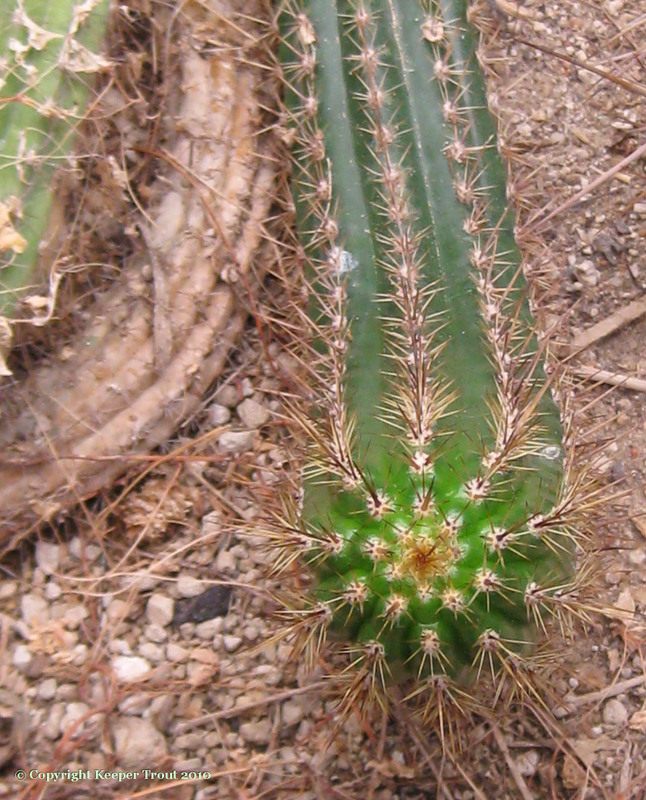 from poco albiflorus through thelegonus. 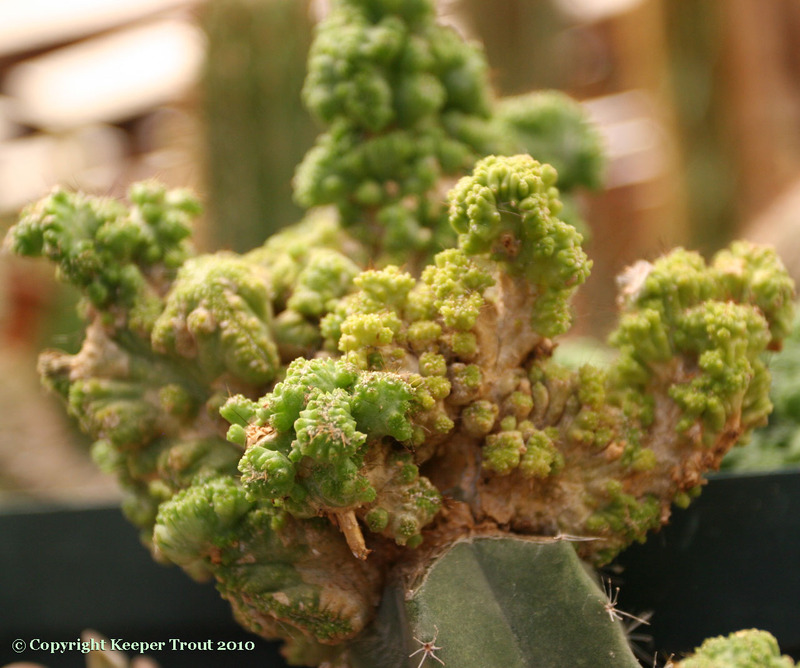 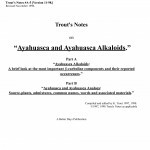 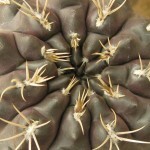 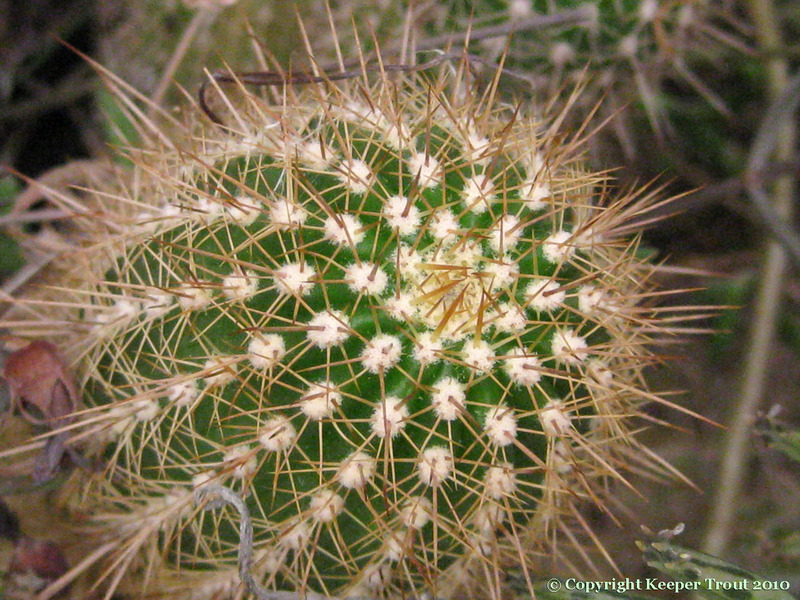 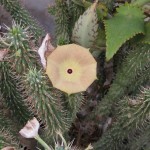 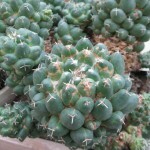 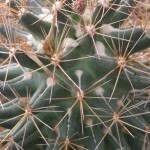 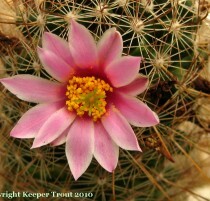 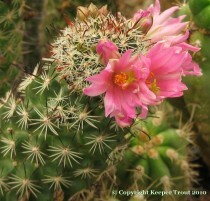 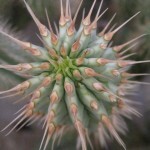 This is the final photo set of our 1 August, 2010 visit to New Mexico Cactus Research. 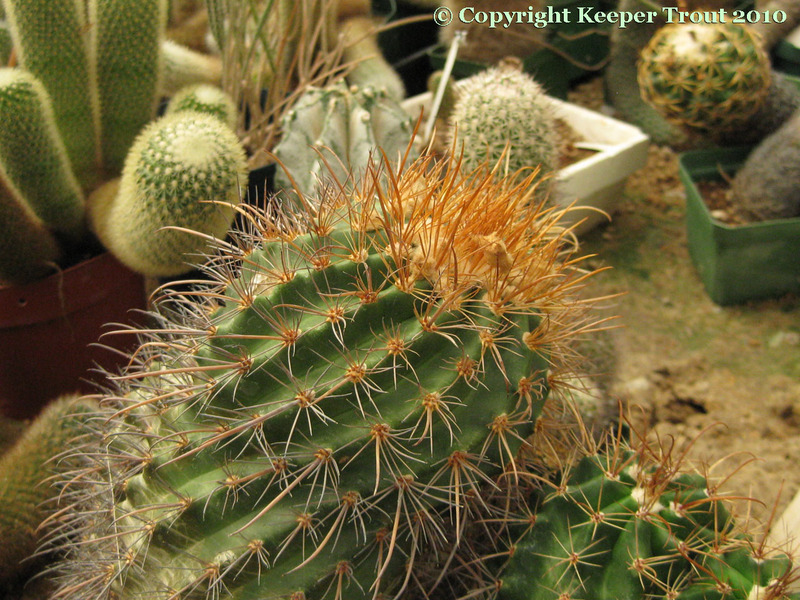 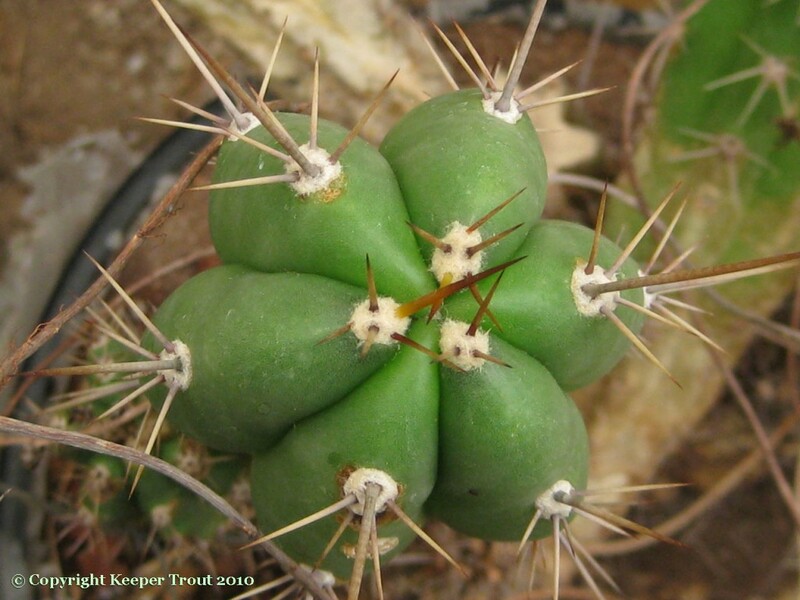 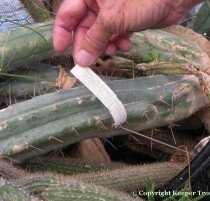 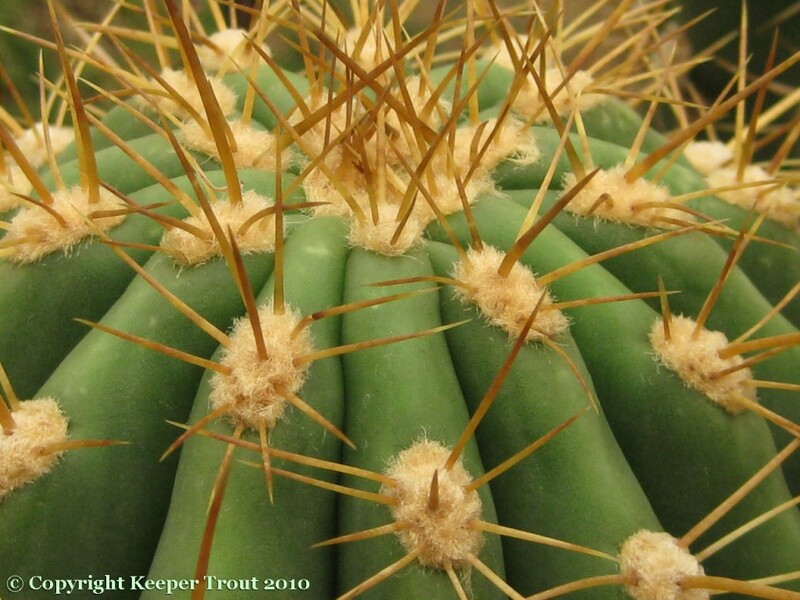 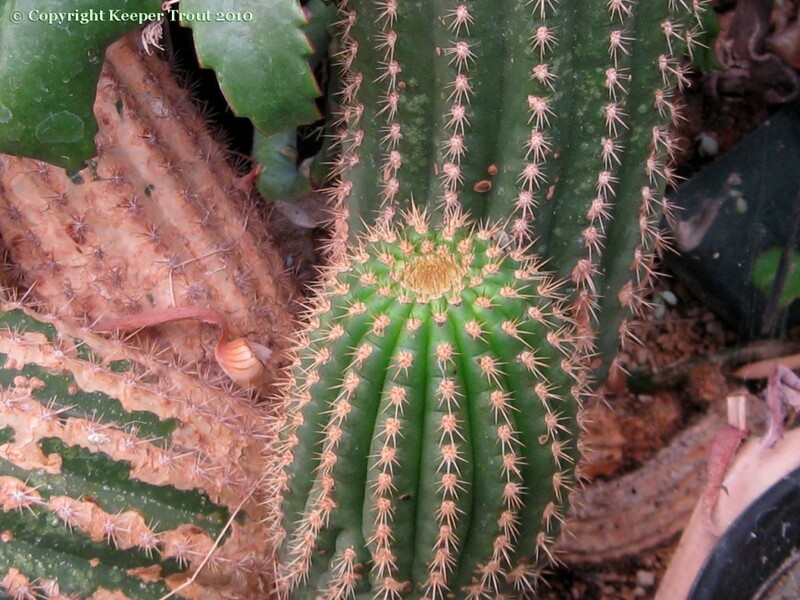 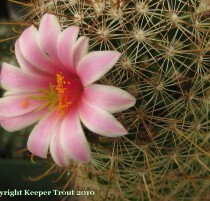 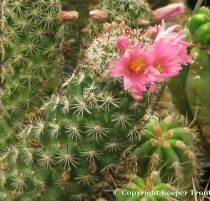 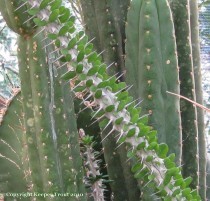 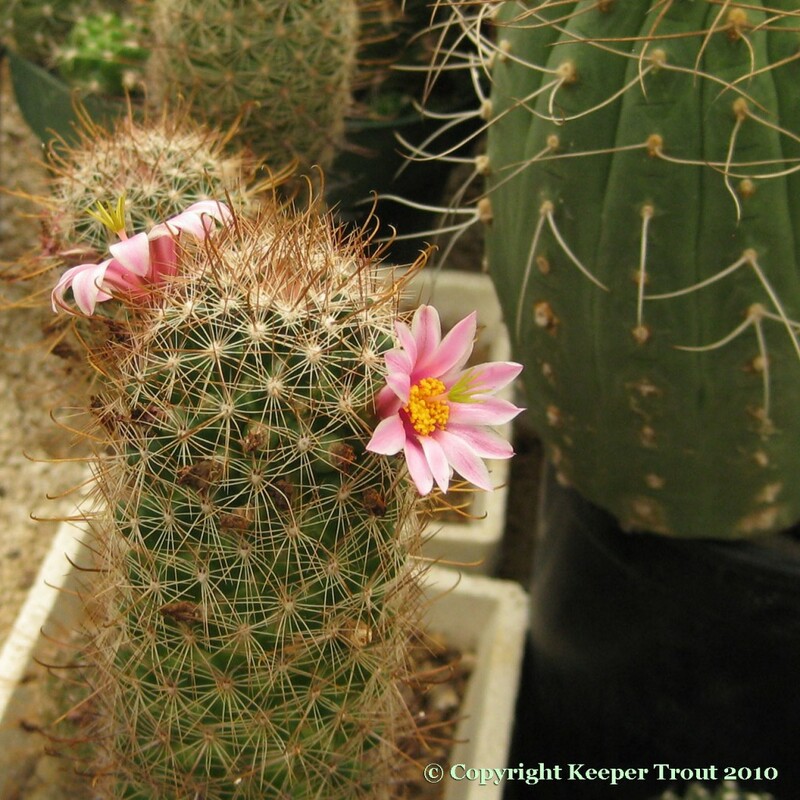 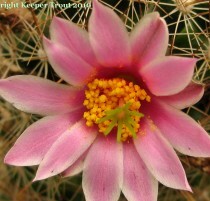 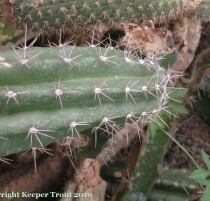 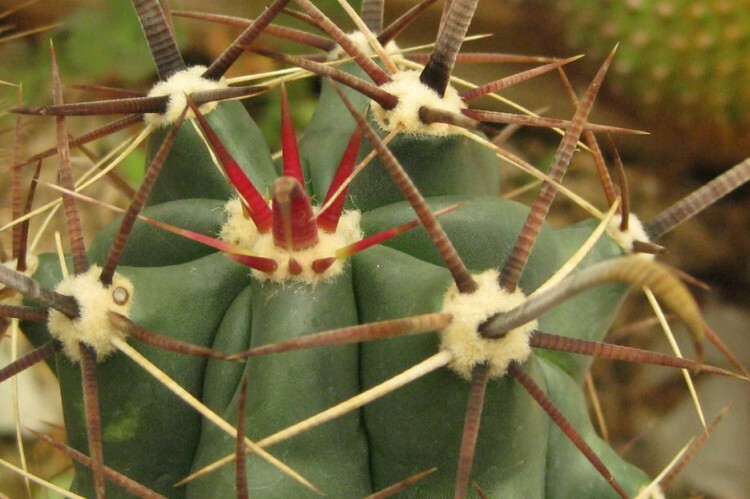 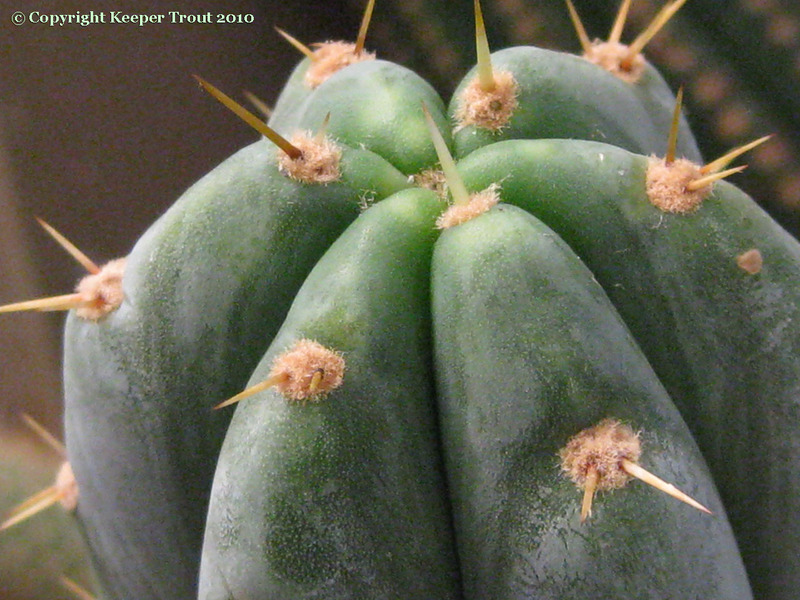 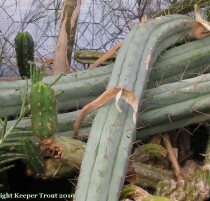 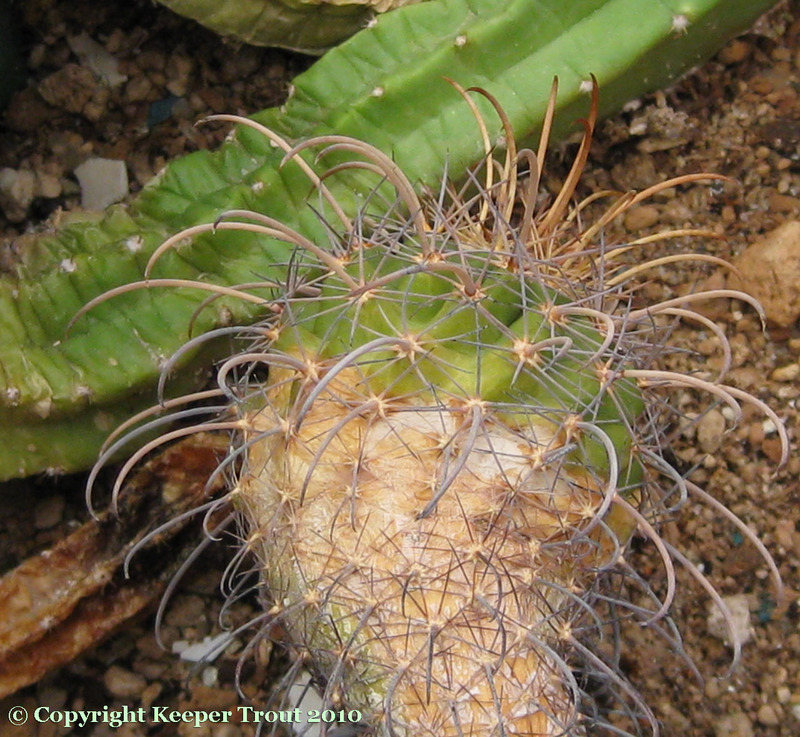 The featured image above illustrates how the cacti had overgrown some of their tags. 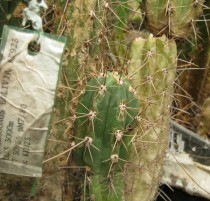 Many of the plant tags were in rough shape, some were missing completely, some were missing a part of the tag and some had become illegible. 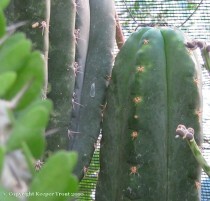 More images illustrating the new growth on all of the cuttings which Horst kindly provided will be coming in the future. 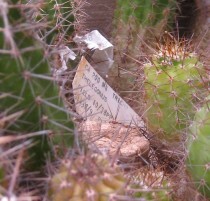 Seeds had been collected by “DM” and were obtained by NMCR 4/1977, Horst planted them in April 1980. 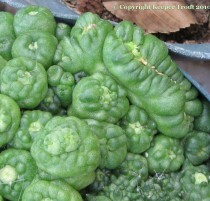 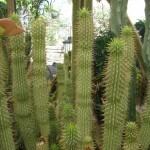 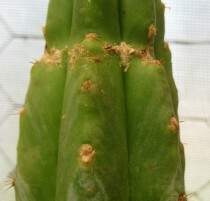 Now lumped with Trichocereus tarijensis. 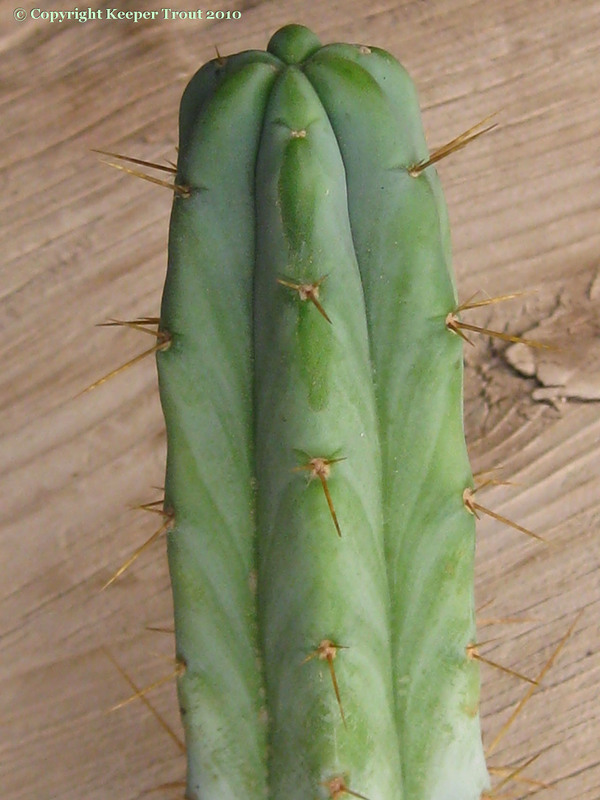 FR856 type from Chuyllas, Bolivia (Rio Mizque). 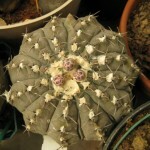 Seeds had been obtained from Riviere de Carault in November of 1972 and were planted on the first of July in 1980 by Horst. 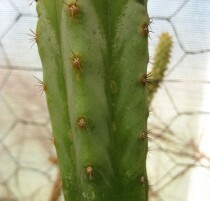 Grown from seeds obtained from Riviere de Carault but missing a tag. 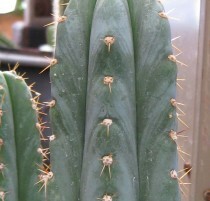 FR991 grown from seeds that Horst obtained from Riviere de Carault. 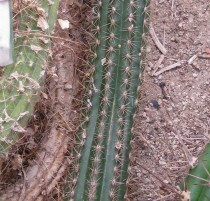 They were planted in 1980. 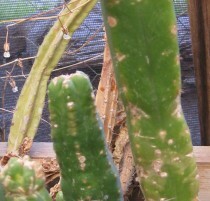 Date of seed acquisition is unknown due to partial tag destruction. 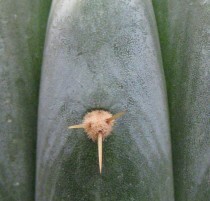 Grown from seed provided by RIV. 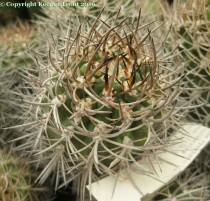 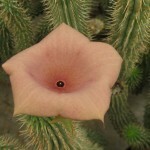 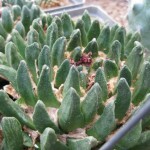 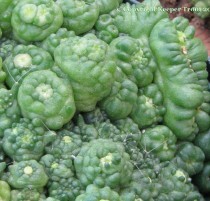 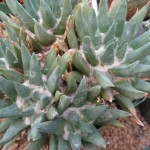 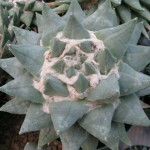 Horst described this as being an old form which is present in European nurseries. 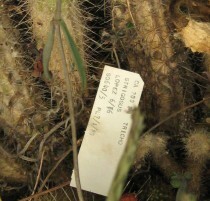 Seeds were obtained from “Lopez” in June 1976; they were planted in July of 1980. 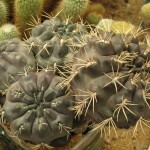 “Cardon Grande” from Argentina. 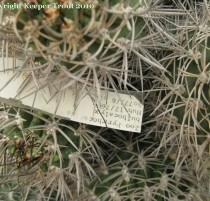 Seeds came from “Lopez” in February 1976; Horst planted them July 1980. 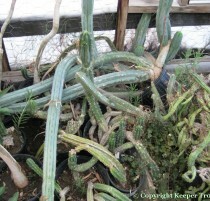 This is what they can become when not repeatedly cut for sale. 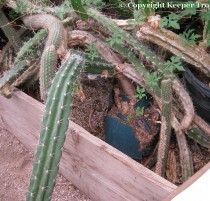 This was lacking a locateable label. 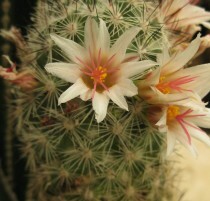 I hope that you have enjoyed seeing NMCR! 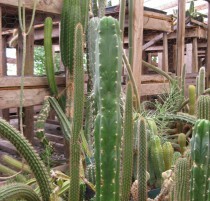 Most of the plants on this page were grown from seed planted in 1980 by Horst. 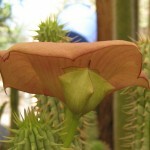 The peculiar and misnamed “v. 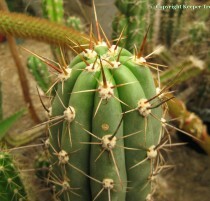 puquiensis” is the one exception. 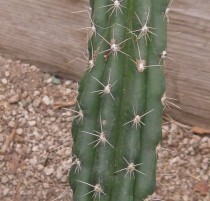 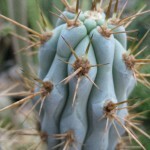 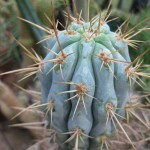 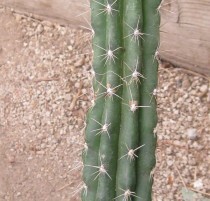 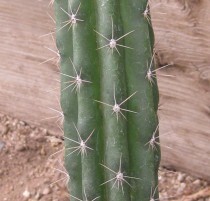 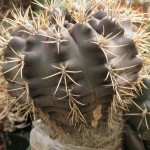 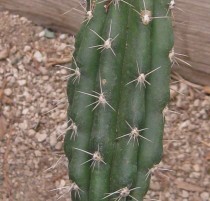 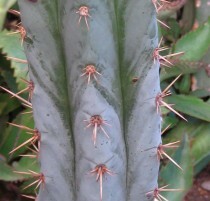 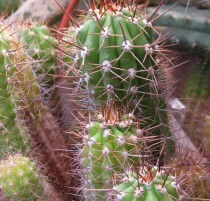 Trichocereus macrogonus var. 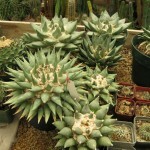 giganteus at NMCR in 2010. 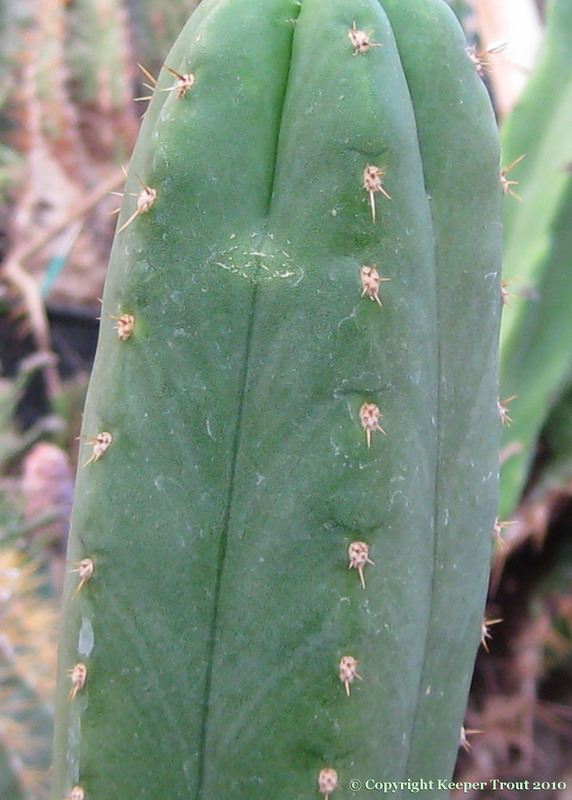 Grown from seed planted in 1980 that came from Robert Field but in 2011 Robert Field told me he had no knowledge of this name. 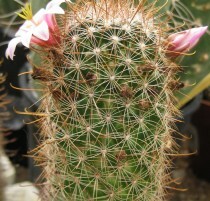 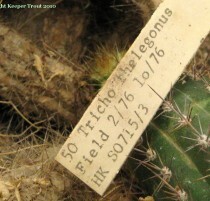 Field DOES have a Trichocereus macrogonus that his father acquired from Blossfeld’s Andean collecting expedition. 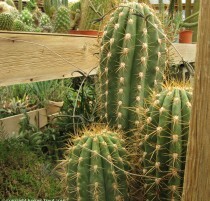 This looks very much like that Trichocereus macrogonus at Field’s. 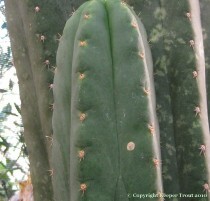 Notice that it almost lacks v-marks and only expresses them weakly? 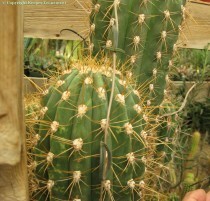 Compare to images of the Trichocereus macrogonus at Field’s in “The Macrogonus Onus” (forthcoming here) and at the Trichoserious website. 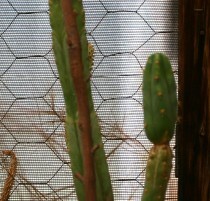 Mother plant in 2010 from Knize seeds that were planted in 1980. 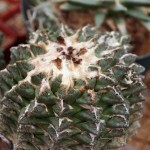 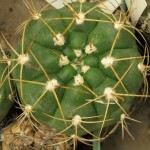 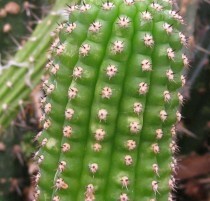 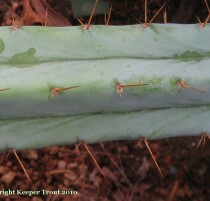 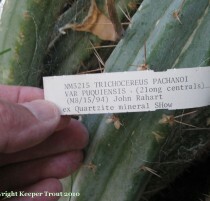 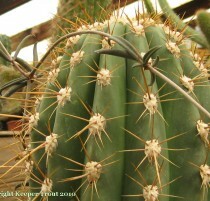 Labeled Trichocereus pachanoi var. 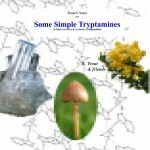 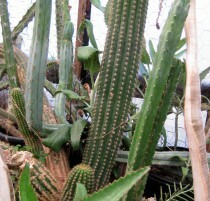 crassiarboreus at NMCR. 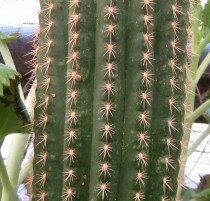 Grown from seeds obtained from Riviere de Carault. 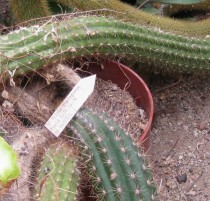 Compare this to Tegelberg’s plant bearing the same name at the Huntington. 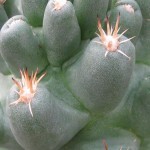 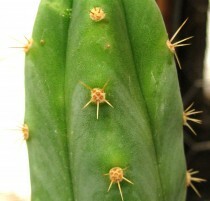 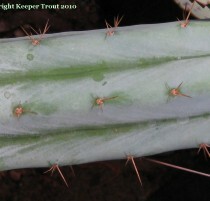 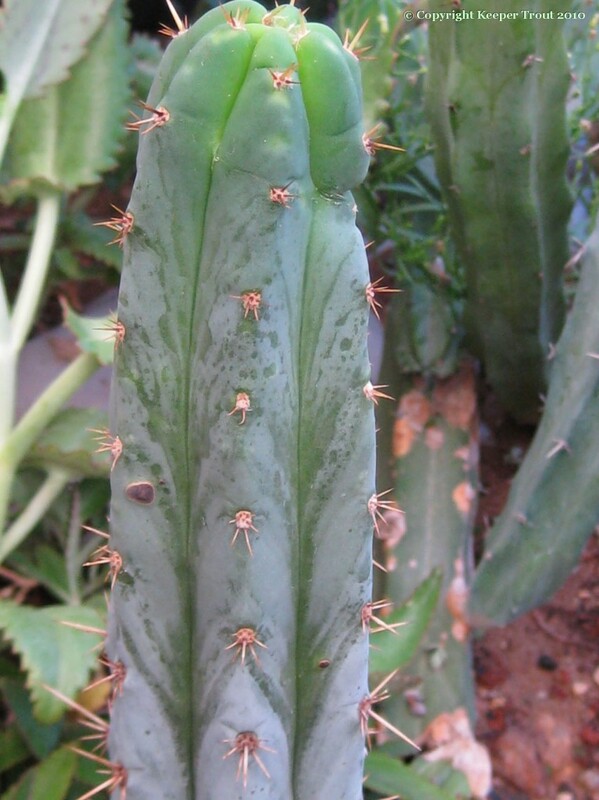 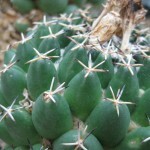 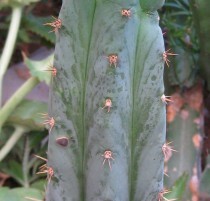 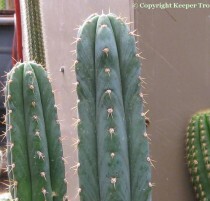 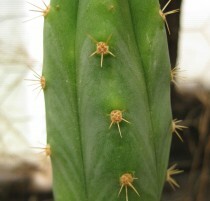 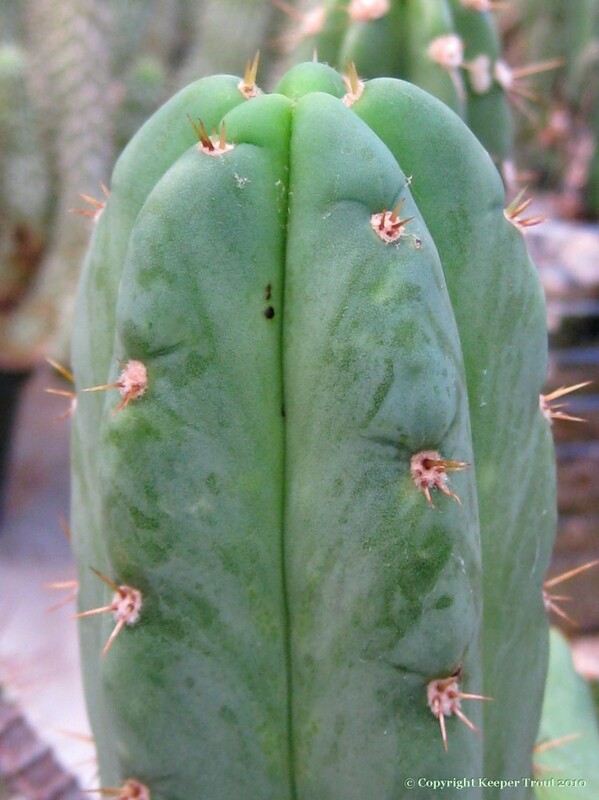 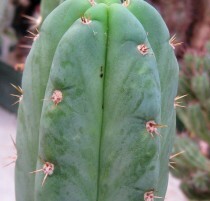 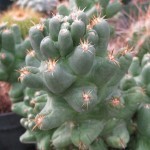 Trichocereus pachanoi var. 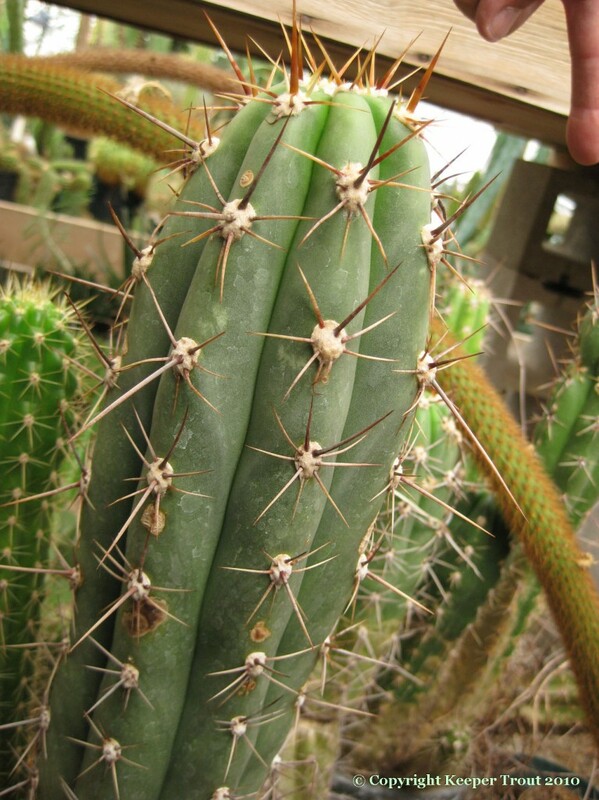 puquiensis is clearly a mislabel but isn’t it beautiful! 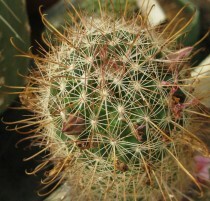 It was obtained as a live plant from John Rahart in Quartzite at the Mineral Show. 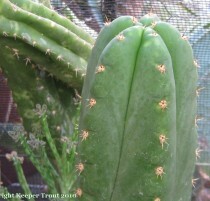 And of course our old friend the pachanot was there. 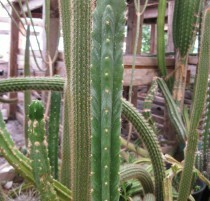 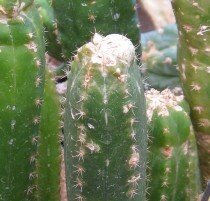 The Trichocereus pachanot mothers at NMCR. 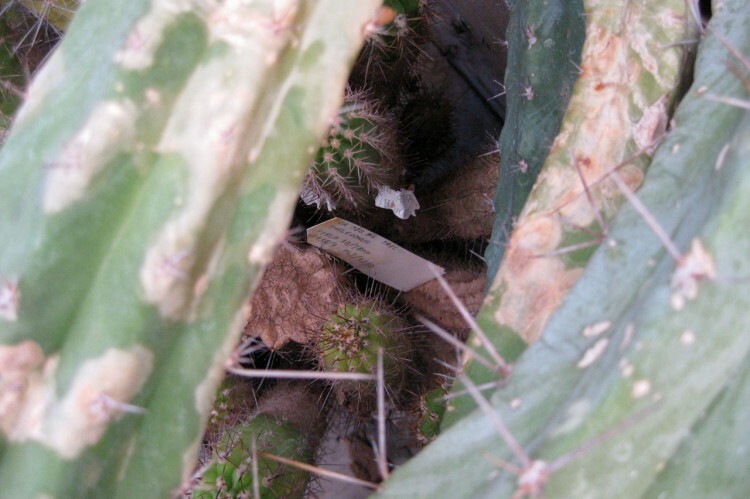 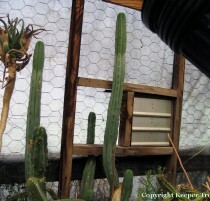 If a viewer is not an old-time cactus grower it is possible that they might have questions as to why anyone would be so interested in the remnants of a closed cactus nursery. 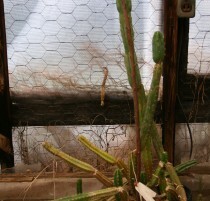 It is perhaps even likely in those instances where the subjects are rather bedraggled in appearance. 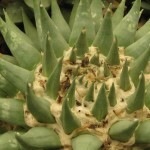 On the other hand, if they are familiar with NMCR I suspect some of those same images might be found amazing if it is with the understanding that what they are looking at was the mother plants of their cuttings. 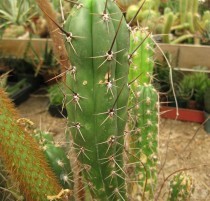 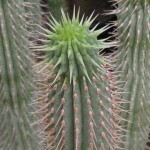 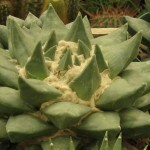 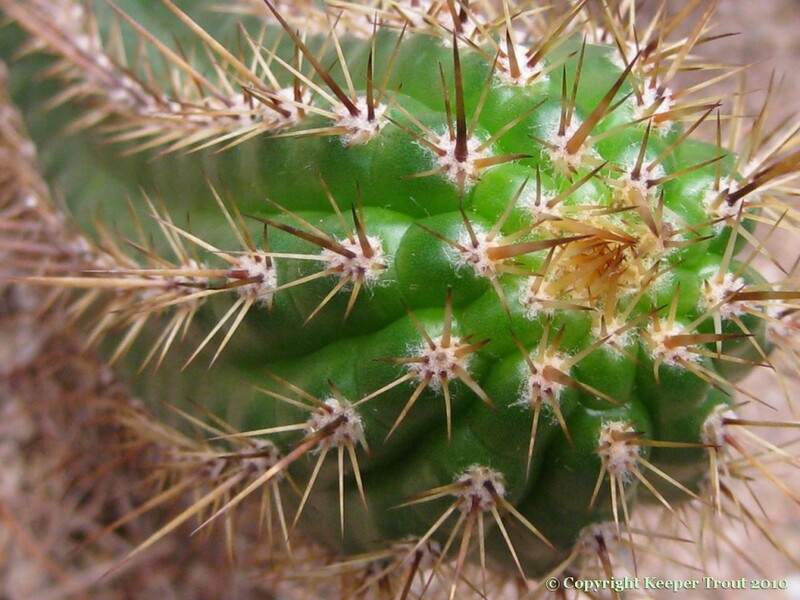 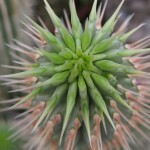 Horst planted cactus seeds and grew & sold the resulting plants but his primary sales stock was new growth that he sold as cuttings. 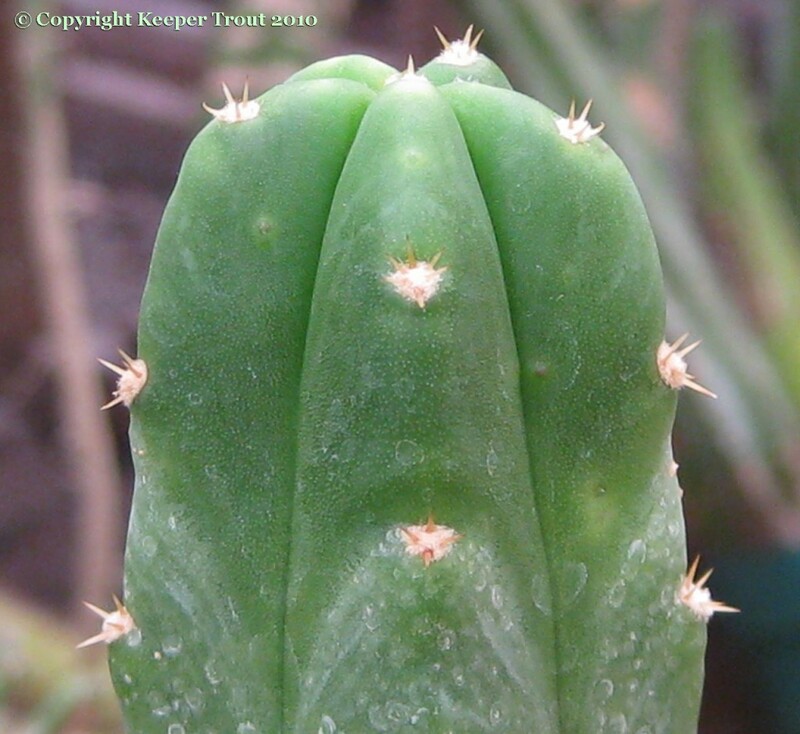 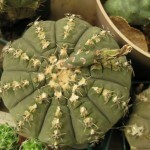 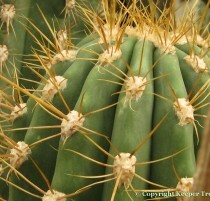 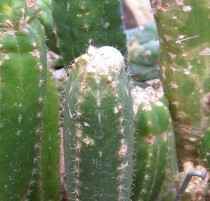 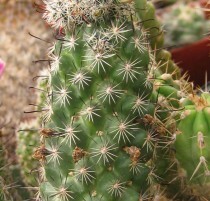 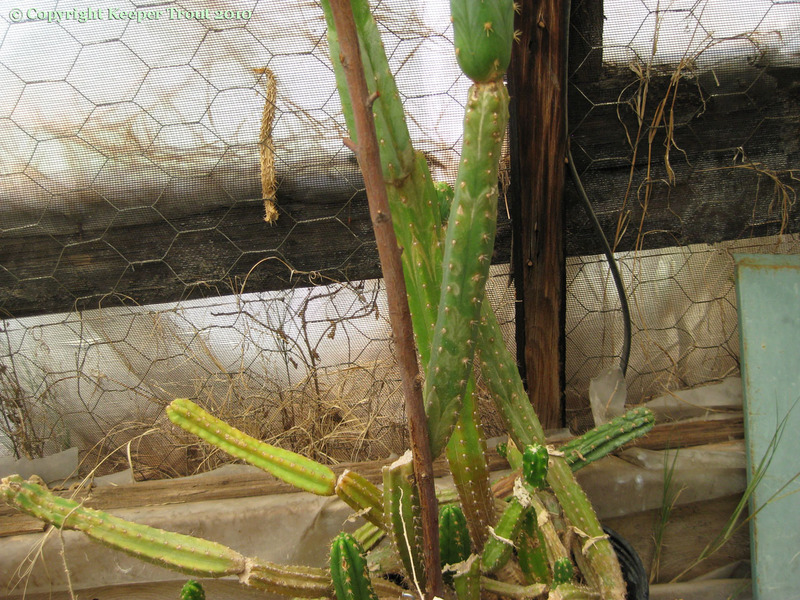 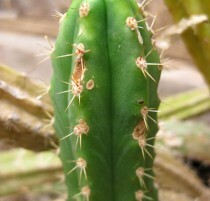 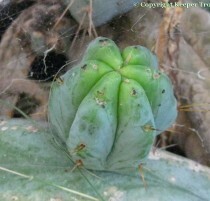 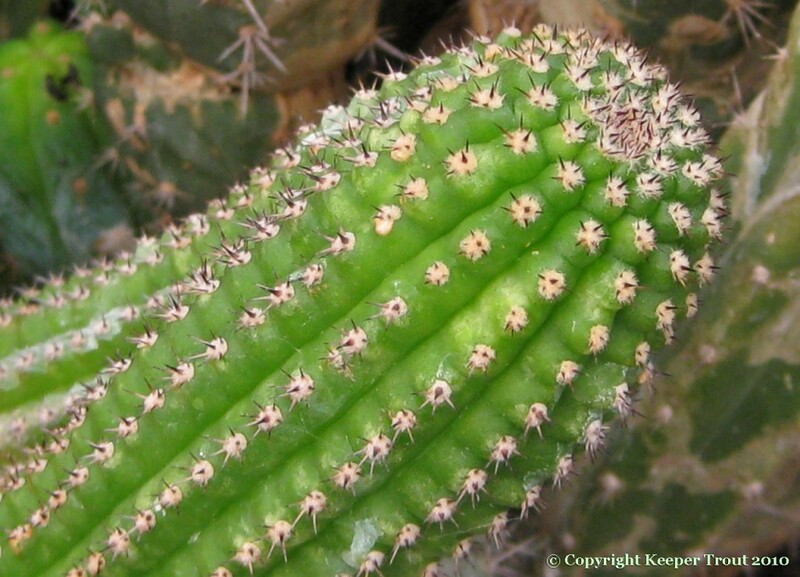 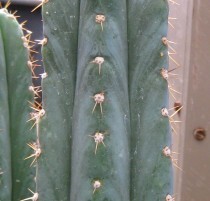 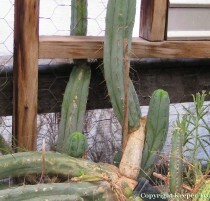 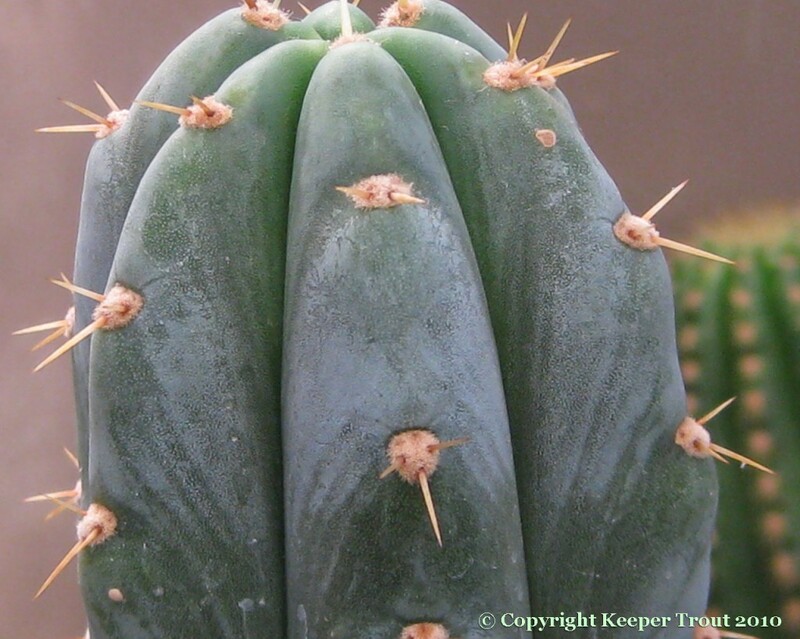 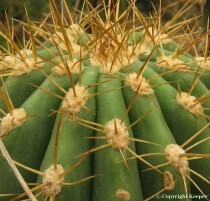 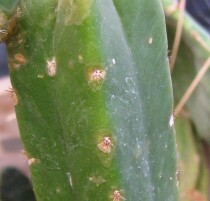 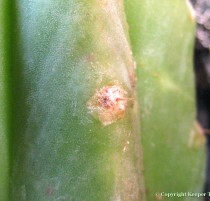 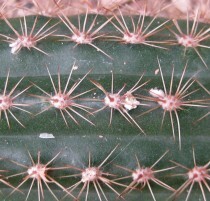 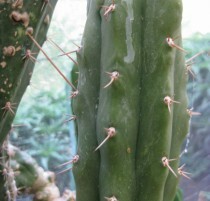 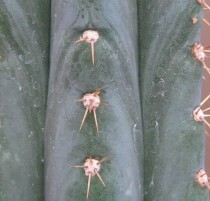 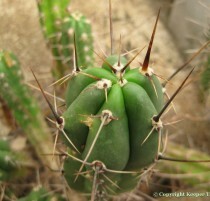 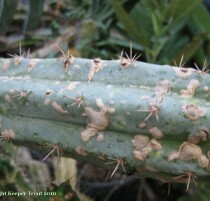 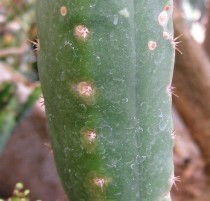 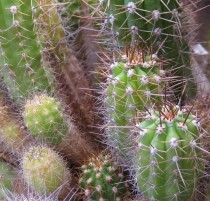 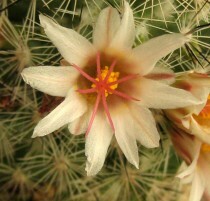 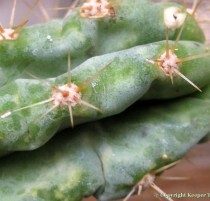 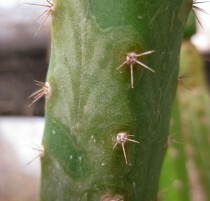 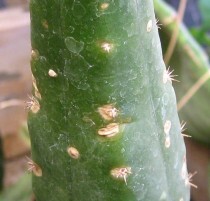 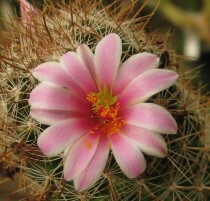 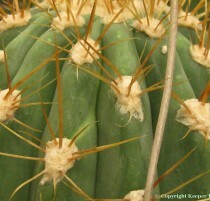 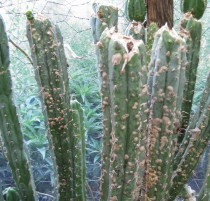 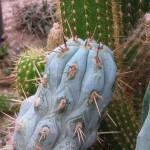 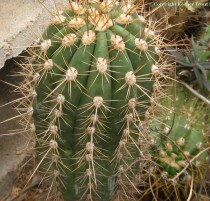 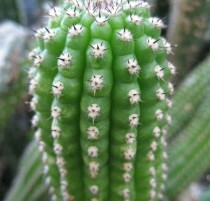 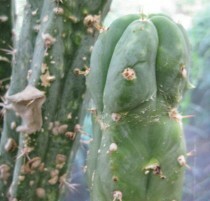 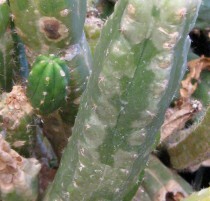 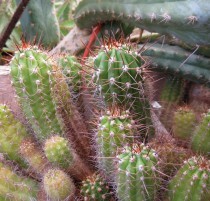 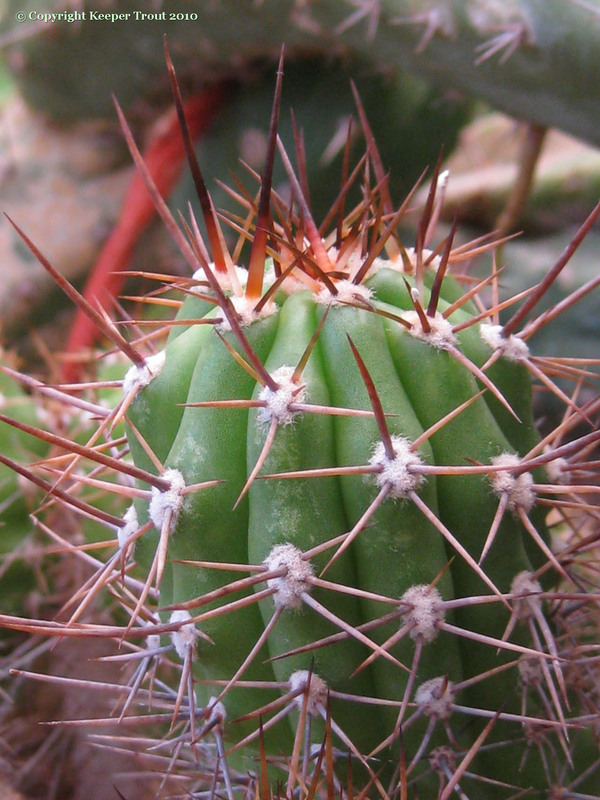 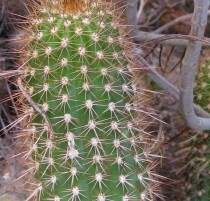 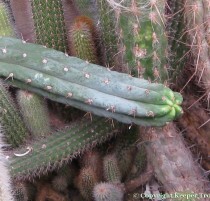 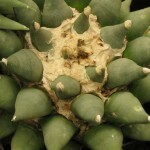 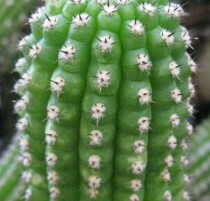 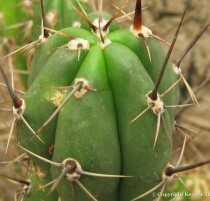 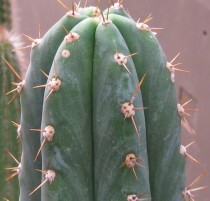 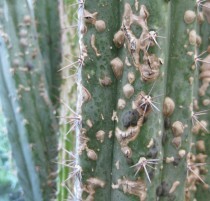 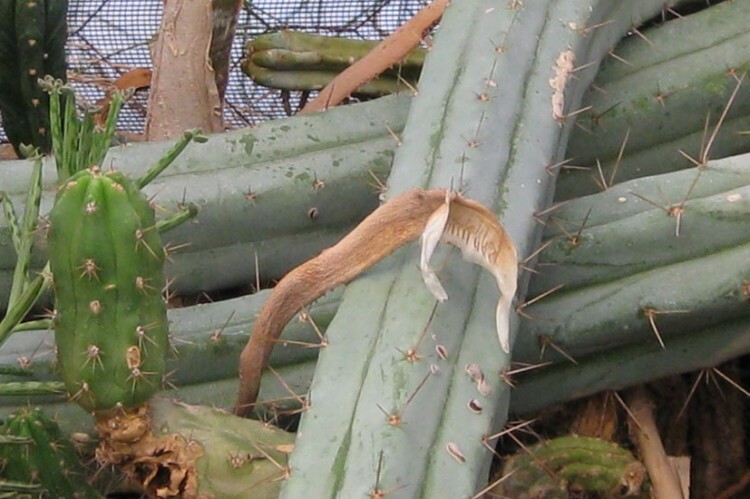 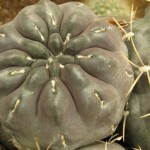 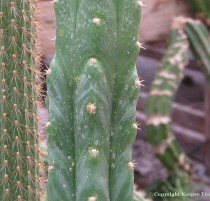 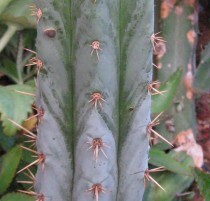 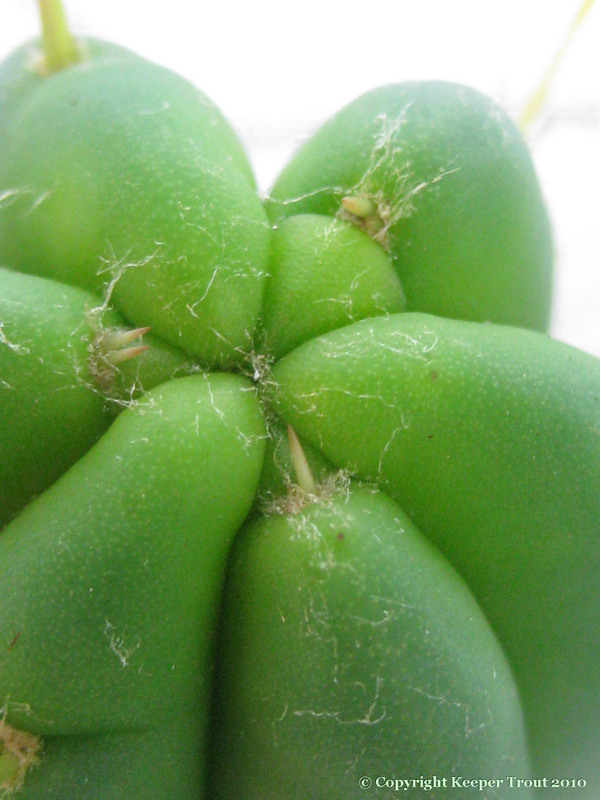 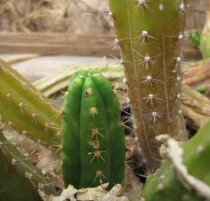 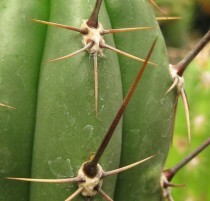 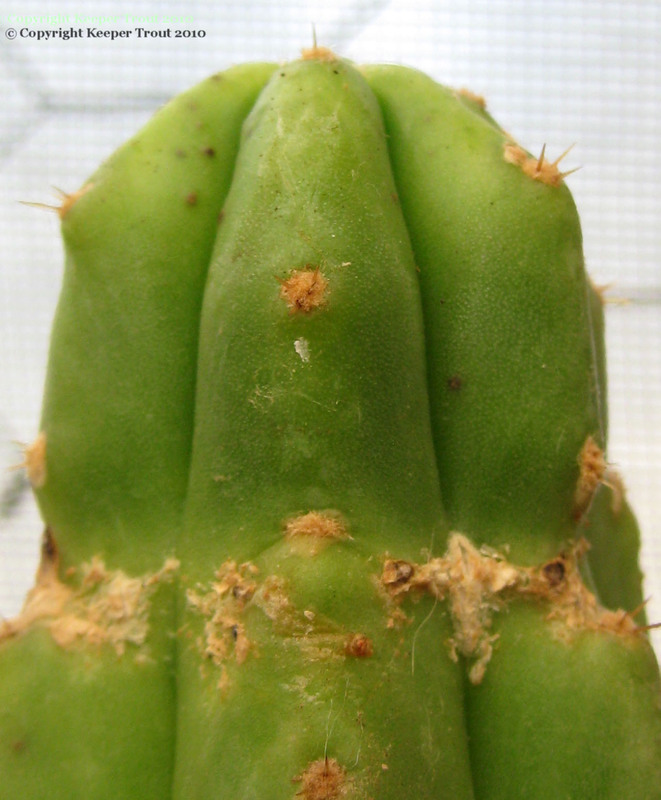 In some cases, such as the Trichocereus riomizquiensis mother plant, the resulting physical exhaustion (due to the demands placed on the plant by repeated harvesting) can still be seen in those images. 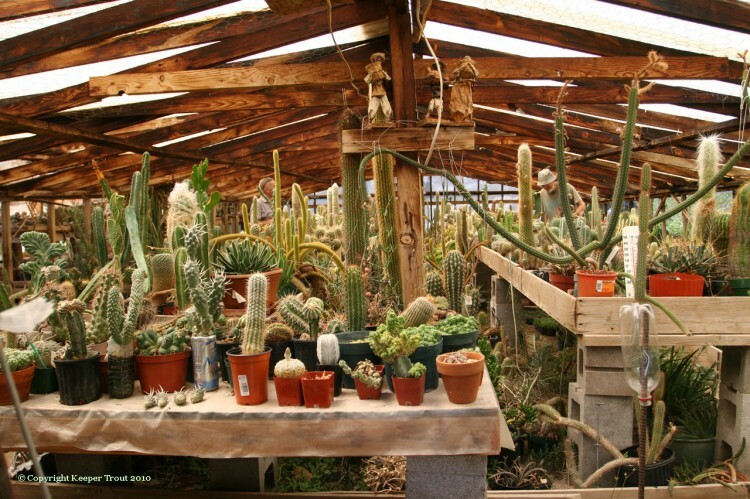 If it is understood that what we are about to tour was jam-packed as a cutting production facility filling the live cactus orders for a highly successful mail-order business it might actually be seen as something impressive. 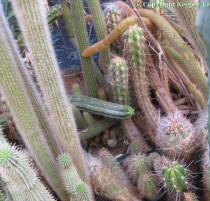 An unrealistic attempt was made to photograph all of the plants possible with the first priority being locating those which came with questions for me. 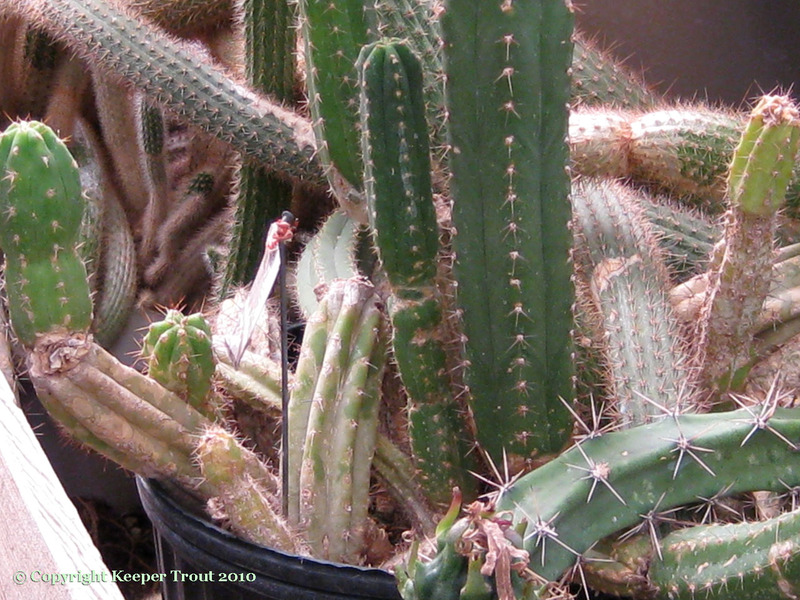 Summer heat in a small greenhouse combined with our heat tolerances, harsh & uneven lighting, awkward or impossible access to good views of some specimens and a window of only a partial day limited the results in reality to being well below the level of what I would have preferred but it was a very productive trip in terms of images and answers to many questions. 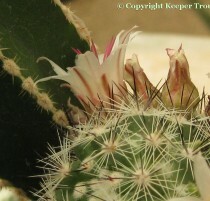 My intention is to post all of the images that came out accepably but in some cases I’m including photographs I would normally reject. This is limited to instances where both no other image was available and the data or question-answering potential outbalanced the lack of quality. 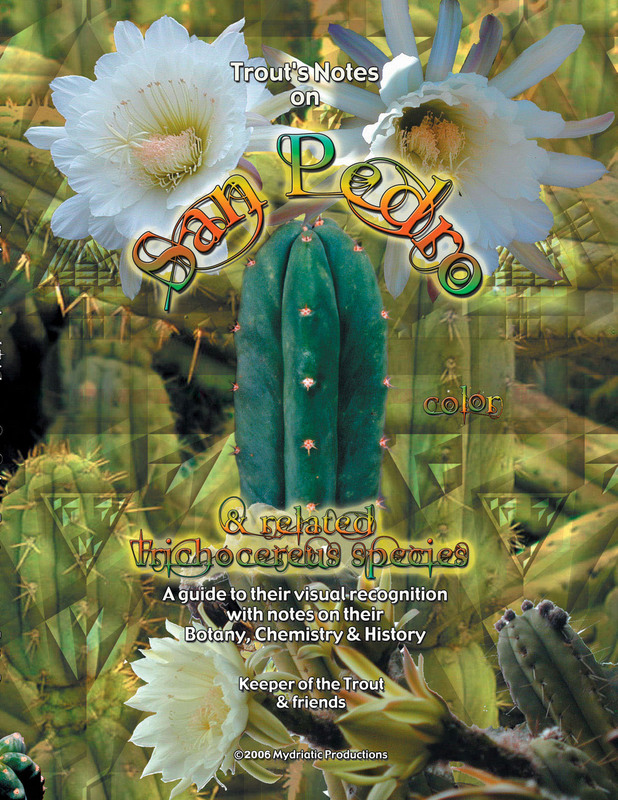 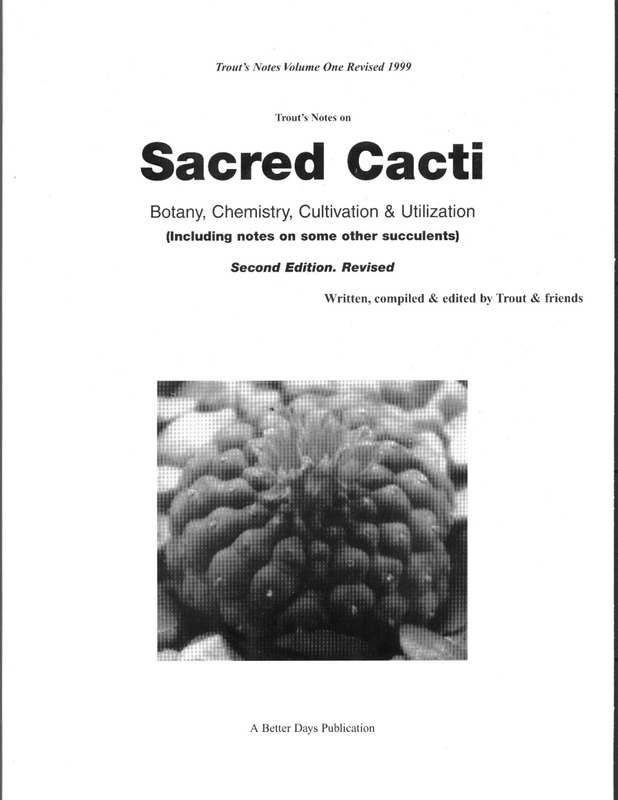 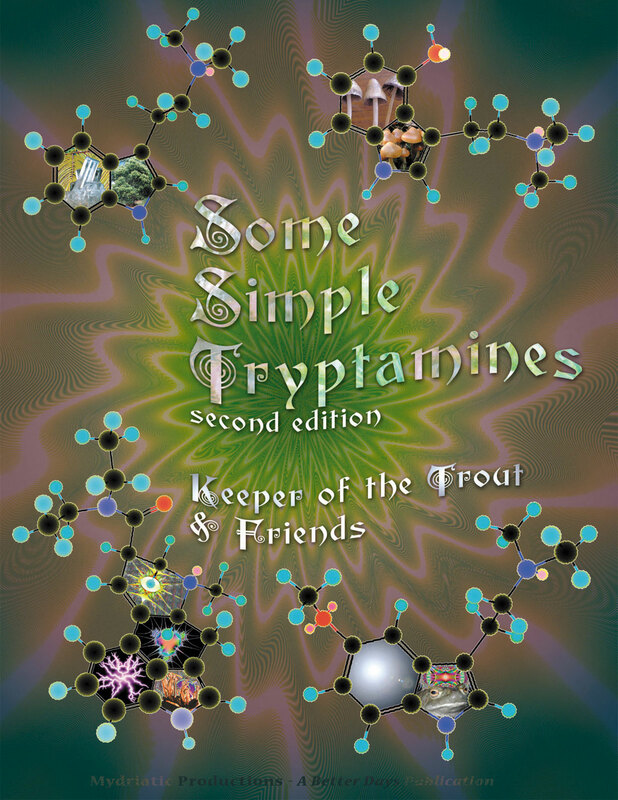 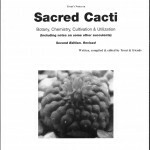 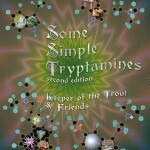 The first page is entirely nonTrichocereus and the remaining pages will largely be Trichocereus species. 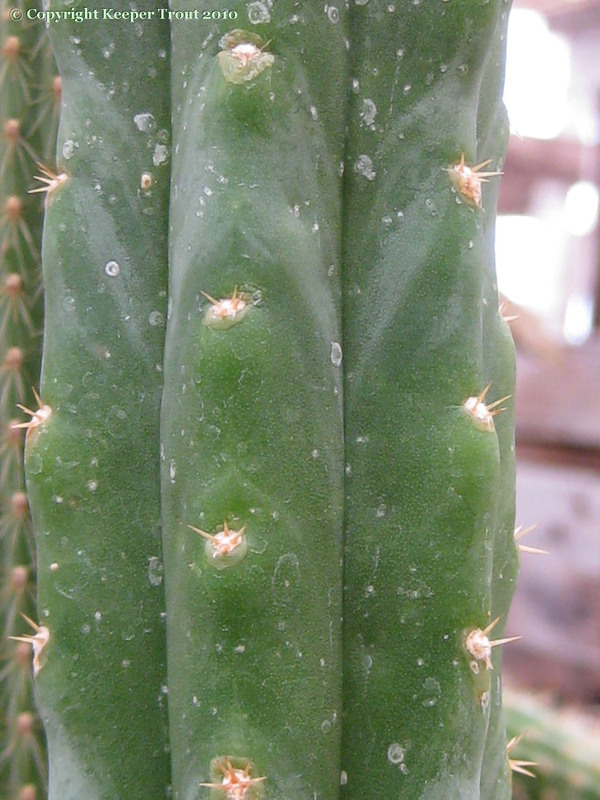 A nice set of cuttings was kindly provided by Horst and those are luxuriating in a Texas greenhouse awaiting a time for future research. 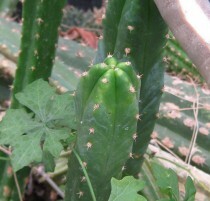 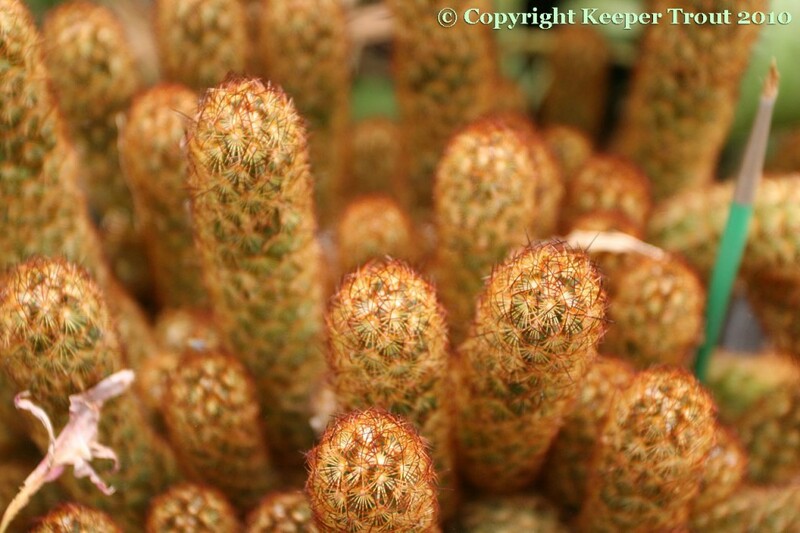 Images of their new growth will also be included here in the future. 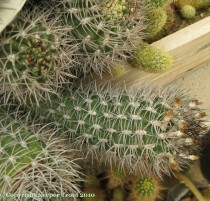 All of the plants on this page were grown from seed by Horst. 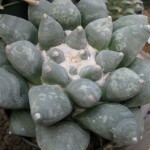 The Ariocarpus and Astrophytums on this page were grown from seeds planted in 1980 so were 30 years old when these images were shot. 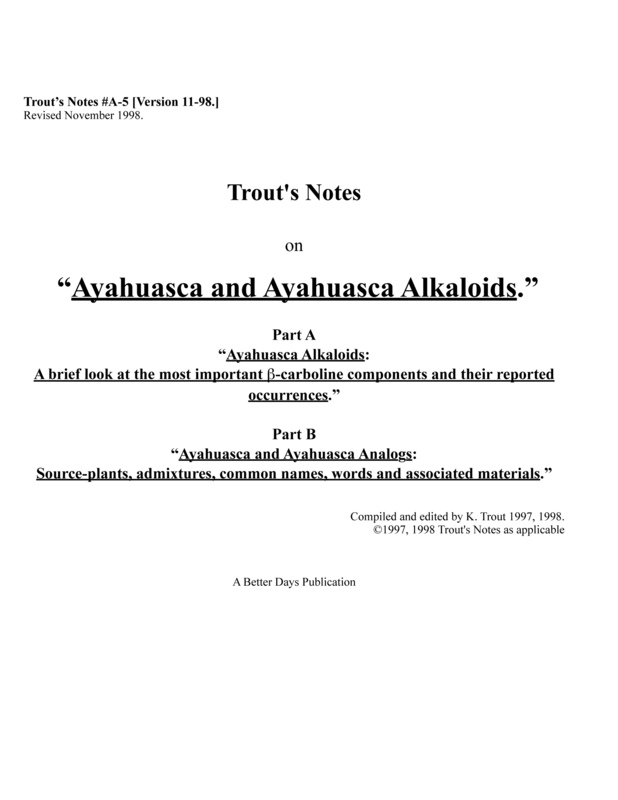 I apparently did not manage to capture additional data for the plants on this page. 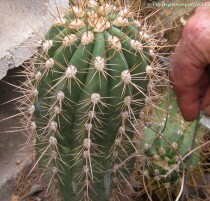 If it comes to hand it will be added.